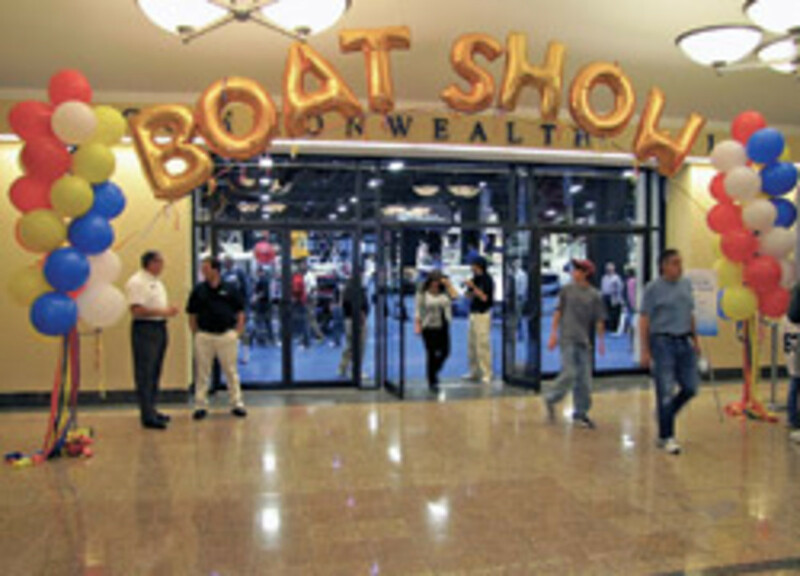 After a year on hiatus, the Boston Fall Boat Show drew in a steady flow of serious buyers. "It was critical not to postpone it for two years in a row," says Larry Russo, owner of Russo Marine and a director of the Massachusetts Marine Trade Association. "It&apos;s a steady crowd ... and I&apos;m not hearing any negative people here." The show, traditionally with indoor and in-water components, was canceled in 2009 after the recession squeezed funding for the MMTA. A scaled-back version returned this year (Sept. 24-26) at the Seaport World Trade Center. Show producer Warren Kelly of Vernon Promotions declined to provide attendance figures, but says attendance at the three-day show equaled the number who were at the four-day event in 2008. He says exhibitors were charged the same fees as in 2008, but were offered a 15 percent "pay on time" discount. Until revenues pick up, the show will continue inside, Kelly says. "I only heard one complaint and that was from a person looking for the 40- to 50-foot boats" that typically would be in the outdoor section, Kelly says. "You can&apos;t have a credible in-water boat show with 20 boats," Russo adds. Even without the in-water component, many exhibitors agreed that resuming the Boston show this year was the right move. "There was no reason not to hold the show," says MMTA president Jack Kent, who runs Bayside Marine Corp., a Grady-White dealership. "For the people who came, it&apos;s been good." Several shoppers took time looking over every aspect of a boat, asked thoughtful questions that showed they had done their homework and returned to vessels they were genuinely interested in buying, exhibitors say. One family debated over lunch which Grady-White best suited their needs - a conversation that probably wouldn&apos;t have taken place two years ago when people with consumed reasons not to buy. "There&apos;s been really good attendance and really good quality of people," says Joey Weller, vice president of sales and marketing at Grady-White Boats. "They&apos;re not just lookers." That was true for East Coast Flightcraft, a Middleton, Mass., dealership that sells Cobalt, Fountain and Malibu. The dealership sold four boats at the show and came away with several leads, president Dan Lemieux says. "Our motto is &apos;drive before you buy,&apos; and we have three deals scheduled for Saturday, one for Friday and another for Sunday, so we could realize five more sales from this event," Lemieux says. All but one of the customers were new to the dealership, Lemieux says. Consumers are no longer looking for steals, and sales teams are making sure buyers understand that as inventory continues to dwindle, it will become difficult to get specific models, Lemieux says. That creates a sense of urgency. Former Massachusetts Gov. Mitt Romney strolled through the exhibit hall with his family on Saturday, asking questions of Cobalt and Malibu sales teams. Dave Schwab, sales manager at Boats of Boston, a division of East Coast Flightcraft that sells Formula, agrees sales were strong at the show. 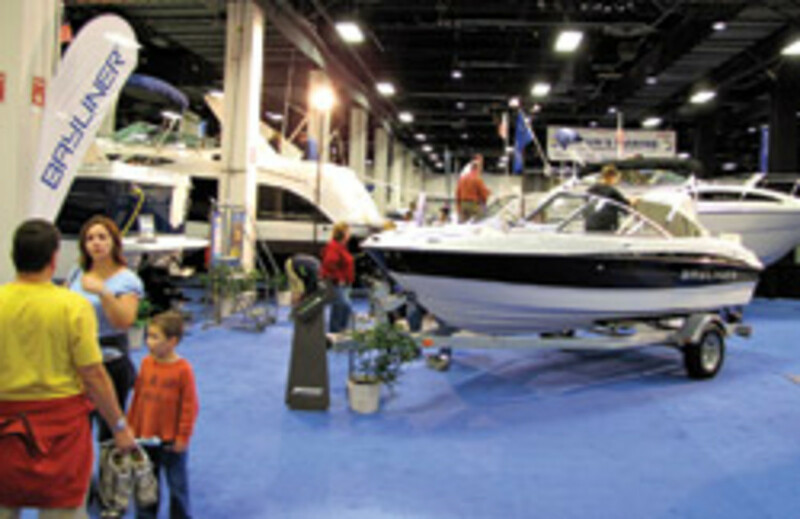 Russo Marine sold three Sea Rays and a Bayliner and gathered more leads than at the Providence show in January, the New England show in February and the Newport show in September combined, says Russo.